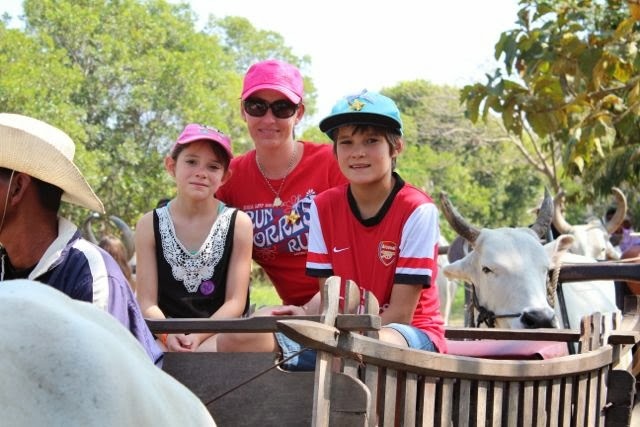 During our cruise stop in Thailand we spent a day at an elephant village which was an unforgettable experience. You can find the website here. 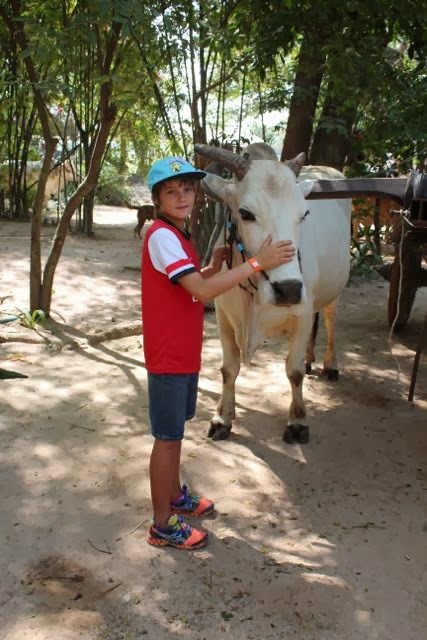 We arrived at about 10am and left at 3pm so we had lots of hours with the animals. 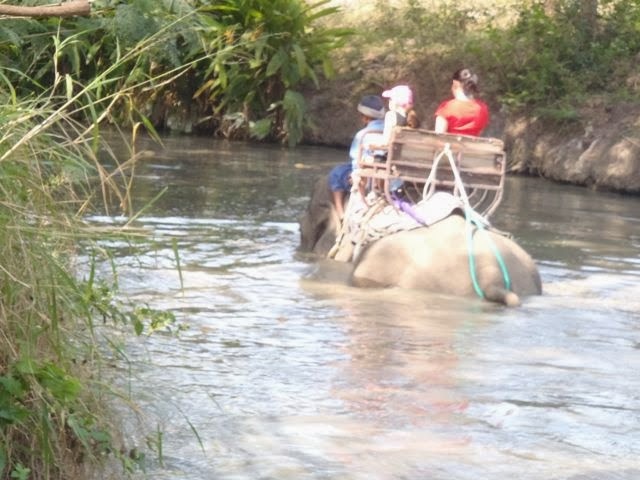 We first had an elephant ride through water and bush. Emma and I went first. 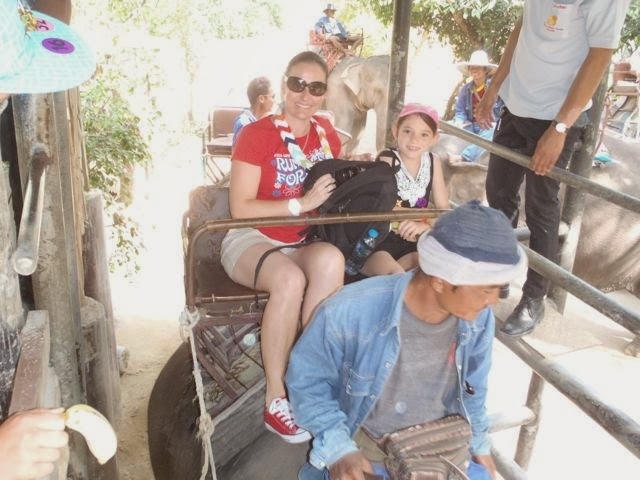 I have to say that riding an elephant is not a very comfortable ride, it's really bumpy and whenever I tried to take a photo it was fail due to the movement. 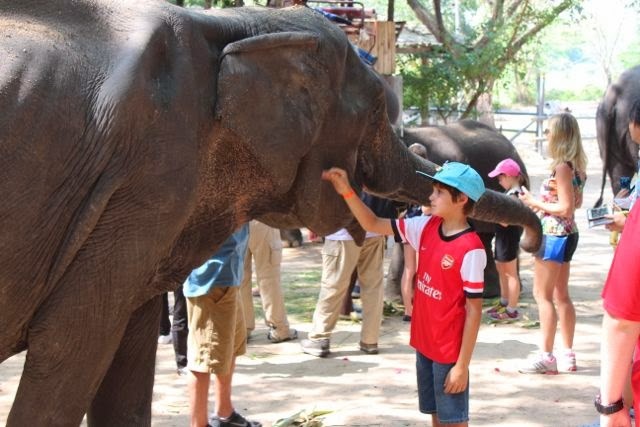 When we got to the other end of our ride we were given quite a bit of time to just pat and feed the elephants. We bought bananas for them at the entrance. A treat they really love. 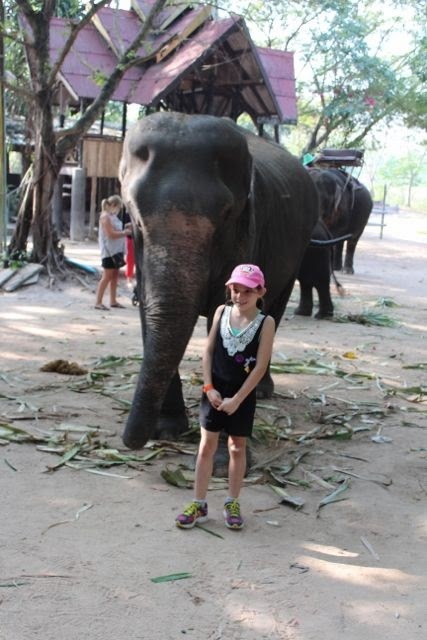 The elephant that walked behind us could smell Emma's bananas and keep nudging her with her trunk so she could have one! 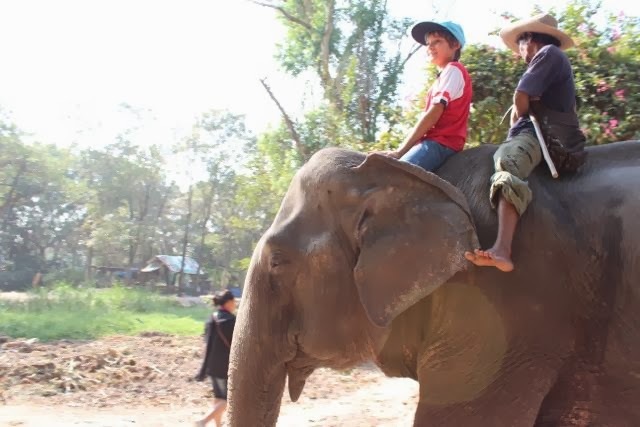 Nathan's driver let him back on the elephant to feed it from above. 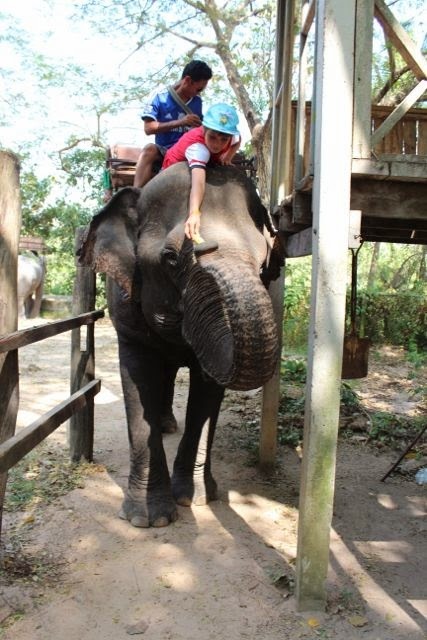 I will also say that elephant's slobber and Emma and I ended up with quite a bit of it on us! 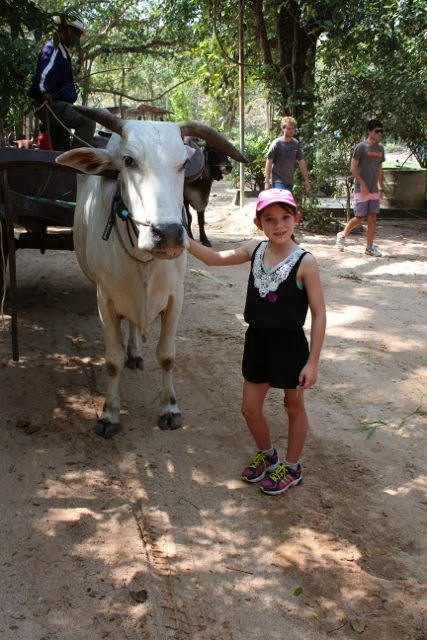 Then we went for a walk through some bush to find out about what the locals do and how they live. 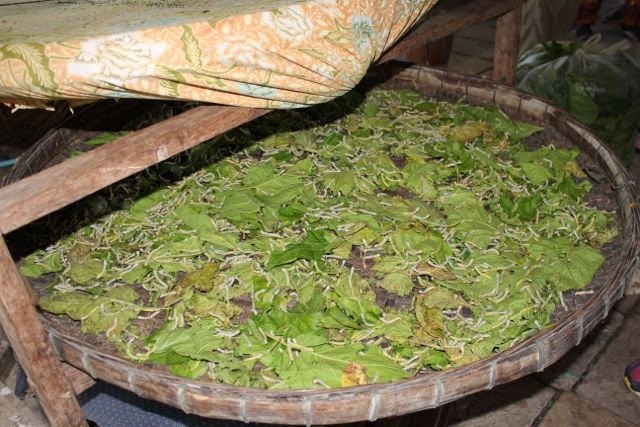 We saw silk worms and a lady making thai silk by hand. 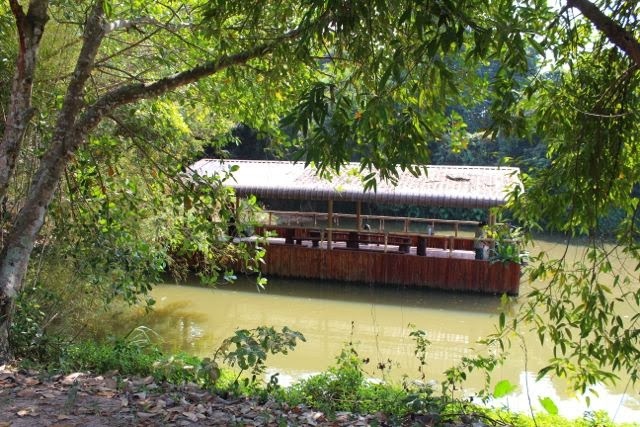 We got to go on this boat which then took us to the other side of the river. 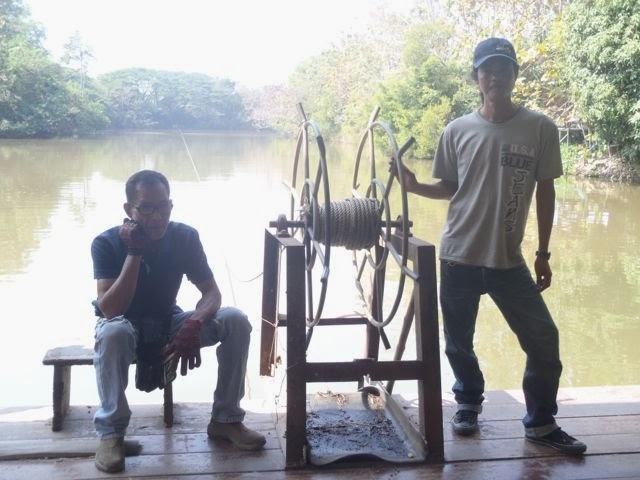 It was just set up on a thick rope which the men wind by hand to move you to the other side. 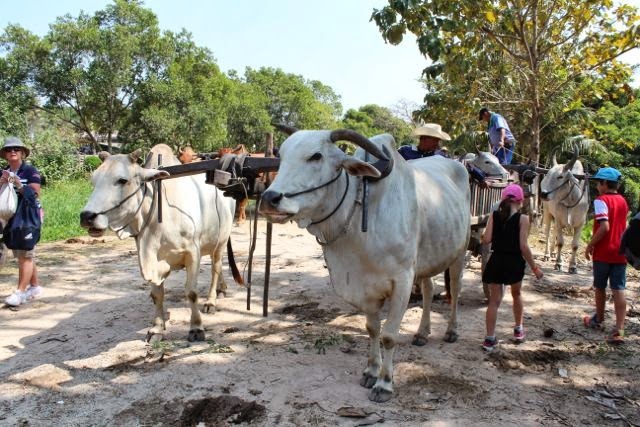 Once on the other side of the river, these guys below were our transport back to the elephant village. We sat in wooden carriages with wooden wheels. It was an awesome experience, we loved it. After all that was done we had a really delicious lunch and then had a good hour to hang out with the elephants again. You could pat them, feed them or just sit and watch them. 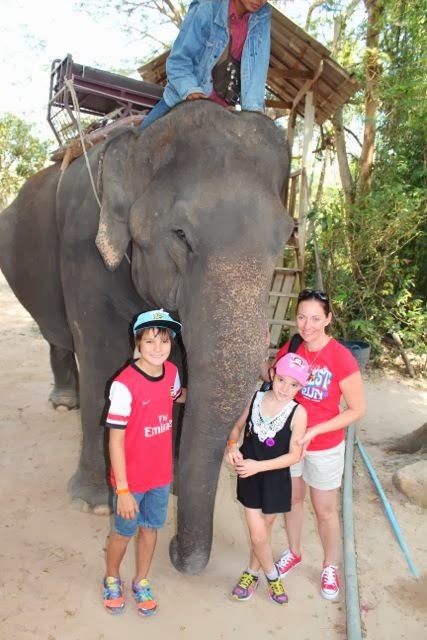 The kids had a ball, I don't think they will ever get this much time with elephants again so we took full advantage of it. 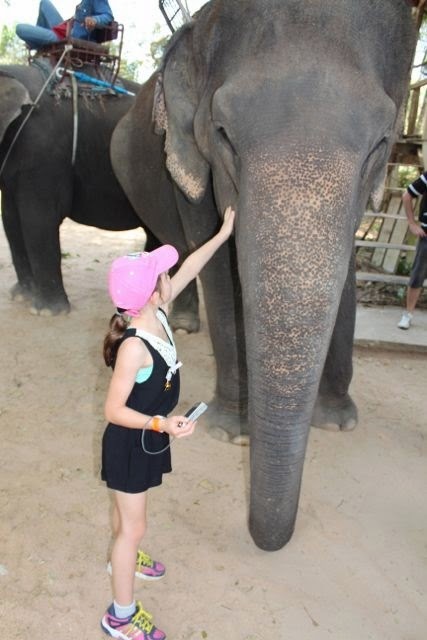 To finish the day we had a talk about the elephants. 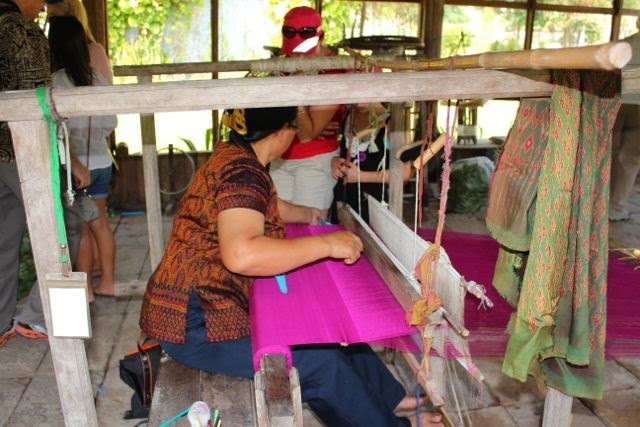 We learned so much about how they get to be at the village and the work they used to do. 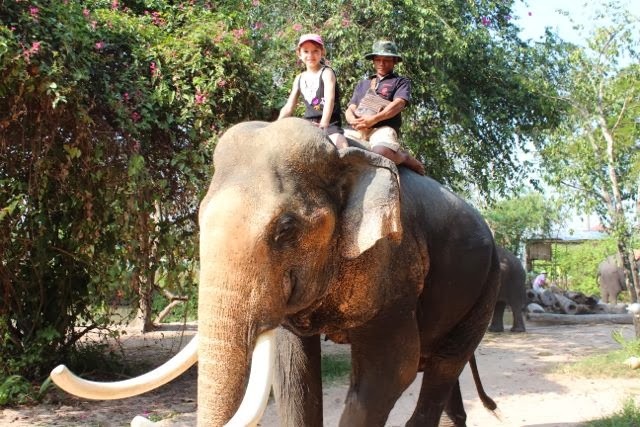 The elephants show all their skills including an old circus elephant who showed us what she could do including picking up 10c coins with her trunk! 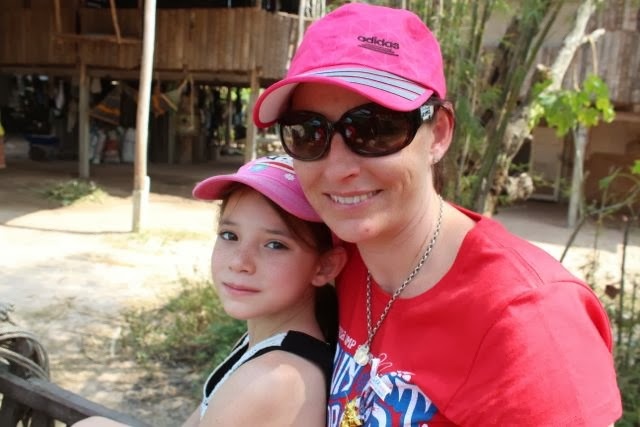 If you are going to Pattaya a trip to the elephants is a really good day.